GE Power Conversion’s maritime business has awarded contracts to MES for the supply and installation of turnkey navigation, communication and internal communications packages on board 13 new drillships. These vessels are in build as part of the current phase of the Brazilian oil and gas field exploration by Brazilian energy corporation Petrobras. The oil and gas giant is searching for hydrocarbons up to 300 kilometers (km) off the coast of Brazil, in rock formations up to 5 km below the seabed and in water depths of up to 2,000 meters. The pre-salt layer holds an estimated 10–16 billion barrels of oil equivalent. GE provide very large integrated systems to shipbuilders to power, propel, navigate, position and control drillships and also power and control the drilling process itself. 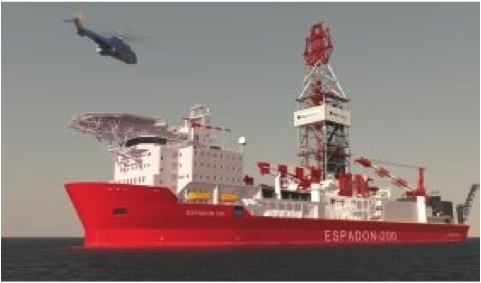 The vessels comprise seven “Espadon 200” drillships to be built by Estaleiro Atlântico Sul (EAS) in Ipojuca, northeast Brazil. MES are providing the full Navigation package which comprises mainly Furuno equipment. MES has been a navcomms partner to GE on several projects in the past including PSV’s in operation in the Gulf of Mexico and 2 Global 1200 pipelaying vessels. GE utilises the niche expertise of MES to provide a navigation equipment package which integrates into and around GE’s own propulsion and dynamic positioning systems. 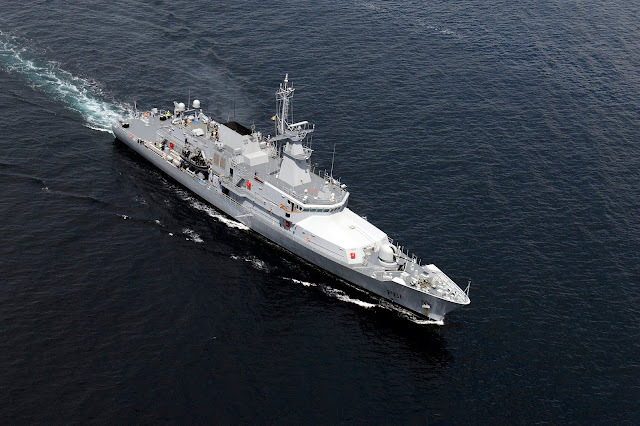 Commissioning work is ramping up at Babcock's Appledore shipbuilding facility as the LE JAMES JOYCE, the 2nd of 3 OPV's for the Irish Naval Service nears sea trials. 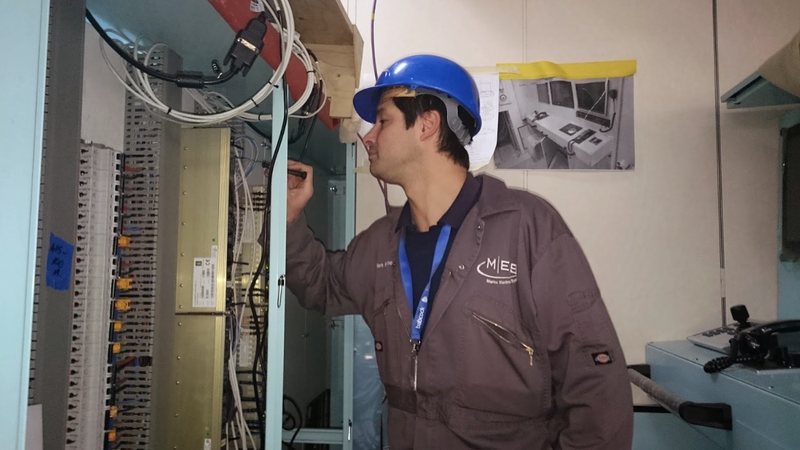 MES has responsibility for the supply and installation of the navigation, military and civil communications, internal communications and the electro-optical fire control system. In other words MES is providing a complete mission system. At the time of writing we have 4 MES commissioning technicians on board augmented by specialist engineers for the Raytheon ring laser gyro system and the GE-IP fire control system. Both these companies have provided great support throughout the project as have all our suppliers. And indeed our customers Babcock Marine and the Irish Naval Service are a pleasure to work with. This really has been a team project we have felt proud to be part of and the ships are superb!